(LAGRANGE, GA) – The Fall Line Blues Project will be happening Saturday, December 8, 2018 and hosted by Jontavious Willis and Henry Jacobs. Music starts at 7:30PM at Pure Life Studios (206 Clark St., LaGrange, GA) and the two short films will be screened at 6PM next door to Pure Life at The Chapel (208 ½ Clark St.). 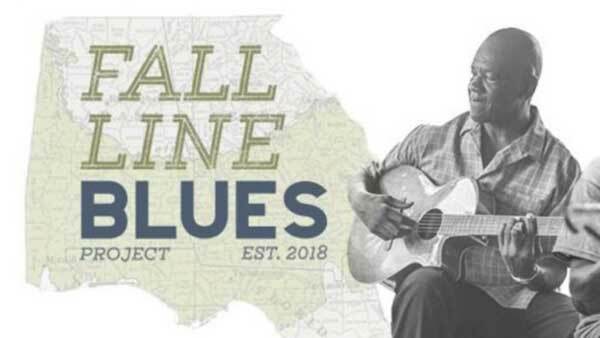 The Fall Line Blues Project is a recent collaboration between Jontavious Willis, Henry Jacobs and others, the aim of the Project is to spend time with the men and women of the Fall Line region who enjoy playing the music handed down by their ancestors. The Fall Line is a geographical region where the Piedmont and Coastal Plain meet in Georgia and Alabama. So far, they’ve recorded interviews with Horace Combs and Eddie Hinton who will be our first featured guests from the project. Jontavious and Henry plan to continue recording and sharing often-overlooked music. Donations for the filming accepted and 100% of the proceeds go to The Fall Line Blues Project.